I Lost My Dad - I Also Gained a New Life-Giving Purpose. 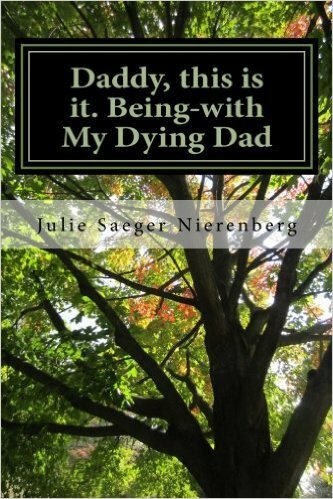 Our guest author Julie Saeger Nierenberg writes "I Lost my Dad" about the loss of her father to cancer and their last days together. While visiting my father in the hospital early in 2009, I learned that he had cancer of the ilium, a tumor right between his small and large intestine. This was some very sad news, especially when we also learned it was in Stage IV of development. Though the cancer was removed to every extent possible, its eventual spread was inevitable. Over the following three years, doctors treated his cancer in a variety of creative and effective ways, and my father -- Daddy, to me -- enjoyed a fairly good state of health and vigor, walking daily, eating with his usual enthusiasm and sharing his zest for life with us all. Then, in 2012, came the news that cancer had spread into multiple organs and there was nothing more to be done for him medically. Daddy faced the end of his life. Amazingly, with courage and grace, he asked each of his children very directly for our readiness to release him. And as he drew near to death, he encouraged me to write our story and share it with a reading audience. I agreed. I missed Daddy so intensely. A few weeks after his passing, I felt angry and deserted. He left me behind! 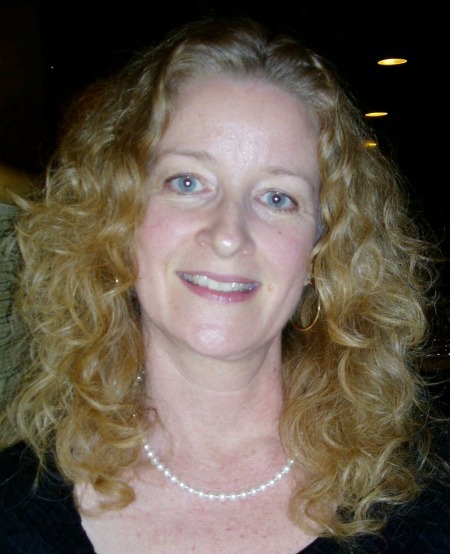 All sorts of feelings bubbled up and, in response to my "tsunami" of grief, I began to write. I began where his end-of-life story started, and wrote a little bit every few days. Crying, writing and reading what I wrote, I accepted what happened and integrated my father's physical absence from my life. I mainly wrote to help myself feel better, and the result was a short story about his end of life. A year ago, I published a little book called Daddy, this is it. Being-with My Dying Dad. This may sound like the end of the story, and it is in one respect: Daddy is no longer here on this earthly plane and I can't change that fact. But there is one thing I can do, every day of the rest of my life: I can choose how I respond to that loss and to the sorrow that I feel. "Everything is choice," I like to say. My grieving choices have created new and life-giving purpose. With my book in print and e-book formats, I reached out to professionals who support the grieving and bereaved, chaplains in hospice and palliative care settings and counselors of the aging and of those who care for their dying loved ones. I offered my book and sent copy after copy after copy to anyone who expressed interest. Soon, I began to receive very affirming reviews, notes of gratitude and requests for articles and blog posts. Readers sent me their own stories, testimonies of unresolved grief and loss, of peaceful transitions and heartfelt connection, in response to a short little story of the intimate experience of being-with my beloved dad as he passed from his life and mine. Now I feel connected to a world community of grieving souls. I learned that grief is not something to "get over," nor will I "move on" as I go forward in life. Grief is something that became (and becomes) a part of me, motivating me in new and prolific ways to awaken each day with purpose and conviction, confident that Daddy is with me, present in each new page that turns in my life. I feel his love, approval and the joy we shared in life, newly alive in my actions and responses to death and loss. Daily, he inspires a new life-giving purpose in me. I love you and miss you, Daddy, and always will. You can buy Julie's book by clicking on the image below.